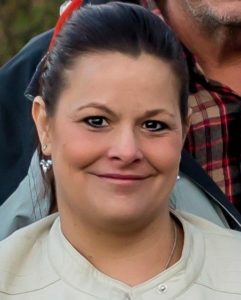 Coats, NC: Mrs. Nicole Mary-Jeaneen Bales Mackay, age 37, died Friday at her residence. A memorial service will be held by the family, Saturday, 4:00PM, at Hope Church, 1696 Amelia Church Road, Clayton, NC 27527. Officiating will be Rev. Luke Long. Mrs. Mackay was born June 2, 1980 in Cleveland County, Oklahoma to Wendell, Sr. and Jody Smith Bales of Coats. She was a homemaker. Surviving in addition to her parents are brothers, Wendell Bales, Jr. and Matthew James Bales; children, Jordan, Aaron, Christian, Ethan and Evan; grandmother, Jeaneen Reifsteck and step-grandmother, Shirene Smith. Family will receive friends immediately following the service. Arrangements by Rose & Graham Funeral Home in Coats.